Say Hello to Max and Pepper! 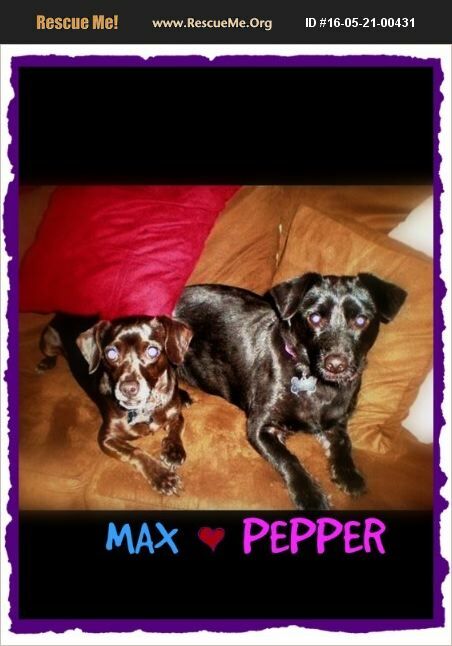 Max is a 7 year young Dachshund Chi mix who came to us with his mate Pepper who is a 9 year young spayed female Dachshund Chi mix after their owner could no longer take care of them. They still have a whole second half of life to live!! ** They must be adopted together! They are both VERY sweet, housebroken, kennel trained, great around people and will warm up to other dogs. They are both up to date on shots and altered. They also have both had their full dentals so their teeth are nice and pretty! The current owner will provide their food, bedding, leashes, bowls, dog gate and kennels. A small adoption fee for the pair is 150.00.